Home / Editor's Choice, Entertainment News, Forum and discussion, Gossip and Drama, Photos / Zimbabwean pastor anoints chairs to be occupied by people who can afford 500 us dollars, Hawa wachungaji ni wakora(PHOTOs). 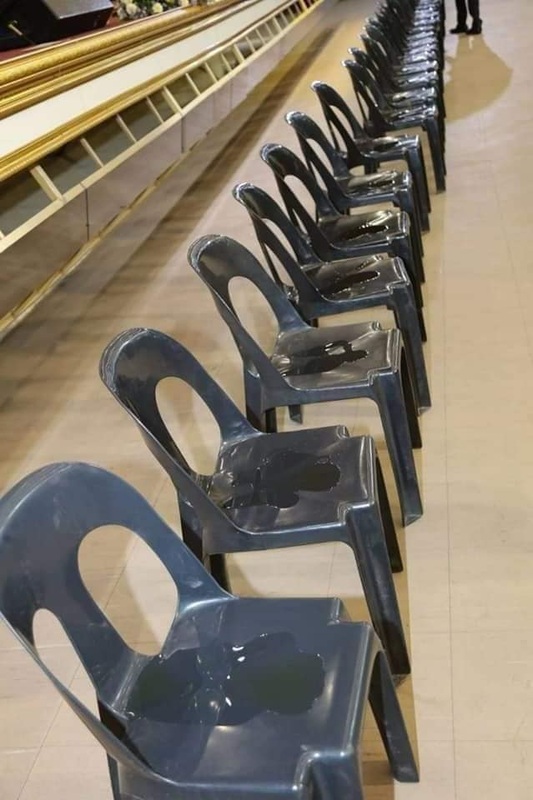 Zimbabwean pastor anoints chairs to be occupied by people who can afford 500 us dollars, Hawa wachungaji ni wakora(PHOTOs). Tuesday, April 16, 2019-A rogue Zimbabwean pastor is trending after he was caught on camera milking his brainwashed congregants dry. 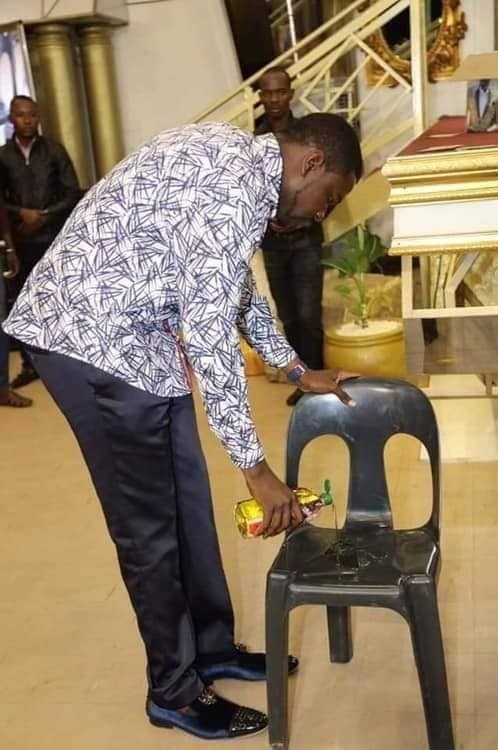 The rogue pastor was anointing chairs to be occupied by those who can afford $500(Ksh 50,000). African pastors have been using religion to enrich themselves. They are milking their brainwashed congregants dry through staged managed miracles.